Palos Verdes Lifestyle - Norma Toering 310-493-8333: Stop the Car! Those were my words when we rounded a curve and this view popped into my line of vision on a glorious view day in Palos Verdes. We simply had to park the car and capture the view. Views are an integral part of the Palos Verdes lifestyle, and it's not hard to understand why once you are treated to sights like this view of the Queen's Necklace. The curve of the land where water meets sand and is greeted by twinkling city lights is such a bejeweled vision it earned the name of Queen's Necklace. It is certainly ranked among the most royal and sought after views on the entire Palos Verdes Peninsula. I love this view, but there are others just as grand and memorable. Are you in the market to buy or sell a view property in Palos Verdes? If so, Charlemagne Int'l Properties would be proud to represent in acquiring such a property to treasure and enjoy on a daily basis. You may reach us at ToeringandTeam@gmail.com or 310.493.8333. There's a Palos Verdes View waiting for you! 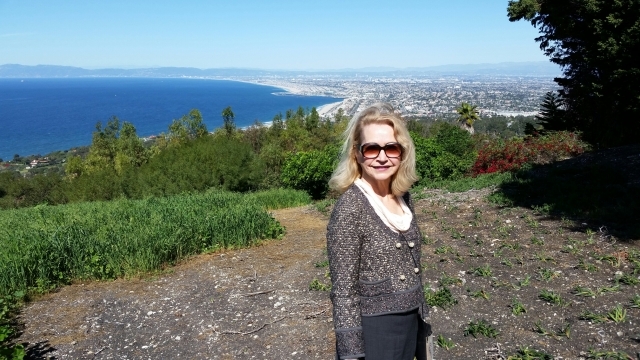 Norma Toering Broker for Palos Verdes and Beach Cities - I can see why you stopped the car - that view is post card perfect! Norma, you sure do live in a beautiful part of the country. And it seems it doesn't get "old" for you. Good morning Norma. A great view indeed and a good way to call attention to you and your area. Laura Allen, Lake Tahoe - Truckee Real Estate for Sale www.TahoeLauraLuxuryHomes.com Yes, it was one of those day when the mountains that rim the area and downtown LA were playing their part in showing why the views in Palos Verdes are so breathtaking. Nina Hollander People usually don't associate "nature" with LA, but Palos Verdes is blessed with an abundance of natural beauty. Sheila Anderson Yes, if you want a view property in Palos Verdes I certainly know what homes to show!